Vipassana is the meditation technique exposed by the Buddha 2500 years ago in the Satipatthana Sutta. Vipassana or insight meditation is essentially different from calmness meditation (samatha) in its showing the difference between facts and concepts/ideas and in its showing how facts do relate to each other and what their nature is. Strongly influenced by Ledi Sayadaw (1846 – 1923), since the mid-20th century two Vipassana techniques came onto surface from Myanmar (Burma): that of U Ba Khin (Burma, 1899-1971) and that of Mahasi Sayadaw (Burma, 1904-1982). The U Ba Khin method (see IMC, UK) is also taught by Goenka (India, 1924-2013), and can be practiced in this region in Dhamma Pajjota (Dilsen, Belgium). From my very first meeting with the teachings (Dhamma) of the Buddha I am a follower of the Mahasi-school. The Birmese monk Mahasi Sayadaw taught his method from 1950. The method had a remarkable impact among lay people. In the 1950’s the Mahasi Sayadaw had an important influence on the German monk Nyanaponika (1901-1994) who was living in Sri Lanka. In the Mahasi method (like in the 8 week Mindfulness training MBSR) ‘formal’ sitting and walking meditation and ‘informal’ daily activities are equally important as an area of practice. Respecting the instructions is important for progress. Basic object in the practice is the body, notably the element of tightness and movement, one of the four elements of matter. From there also feeling, thinking and natural phenomena can become an object of mindfulness. Mindfulness has a central position in the five Controlling Faculties (faith, effort, mindfulness, concentration and intuitive wisdom). Noting or labelling aims (vitakka) the mind, so that it can rub against the object (vicara). Momentary concentration (on successive physical and mental phenomena) has the same power as continuous concentration on a concept. Besides the above mentioned the Mahasi method can be characterised by the role of morality as a fully integrated part of the teachings (not an ‘Ethical Code’ just hanging in a frame on the wall) and an all over depth (in Western terms: rather emotion, surrender and passion than intellectualism). While the Buddha’s teachings in the West initially, in the 19th century, were considered nihilistic and pessimistic, and this successively changed into realistic, the Mahasi method conveys an optimistic, happy message, a glad tiding. When Mahasi Sayadaw passed away in 1982, two successors were chosen. The first one, U Sujata, passed away that same night. From then on U Pandita (1921 – 2016) was Mahasi Sayadaw’s successor. 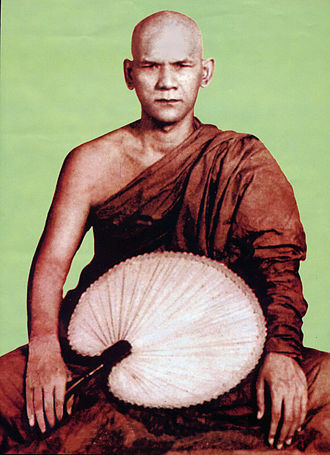 It is often claimed that Mahasi Sayadaw had many successors. This is untrue. It is the same as claiming that someone who worked together with a university professor, or studied with him/her, can be called a successor. Sayadaw U Pandita has implemented his responsibility as a successor in an impressive manner. From 1984 to 2013 every two or three years he conducted a retreat in the USA. In 1996 the American ex-monk and journalist Alan Clements did state that according to him in Western countries Buddhist teachers did use too much their own method, and U Pandita reacted as follows (A True Spiritual Friend). In those days he was invited more than once to settle in the USA. 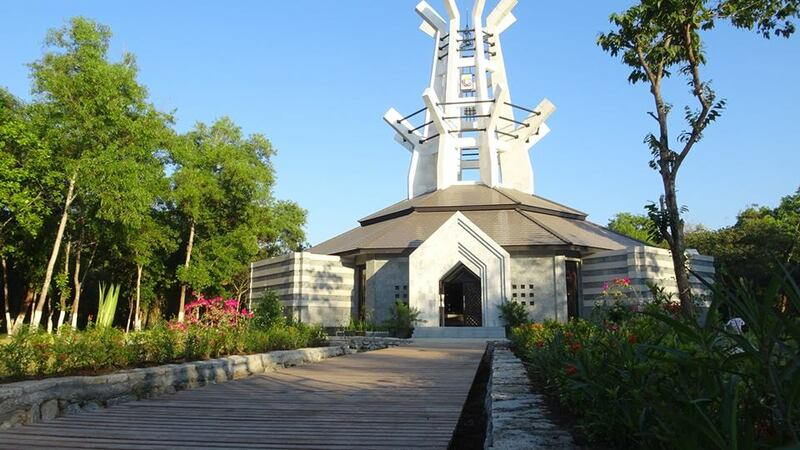 In 1993 – with American support – he opened in Myanmar the forest centre Hse Mine Gon, where he conducted annual 60 day retreats since 1999, especially for English speaking foreigners. In that same year 1999 he opened a meditation centre in Lumbini, Nepal. From 2010 on every year there is a three day Dhamma Family Gathering, an evaluation of the progress of all (about 20) Panditarama centres worldwide. In 1990 Sayadaw U Pandita broke away from Mahasi Sasana Yeiktha. As I have been told in Myanmar by various people: because of difference of opinions between board and teachers. There is no indication at all that he left Mahasi Sasana Yeiktha because he wanted to distinguish himself with a change in the method. 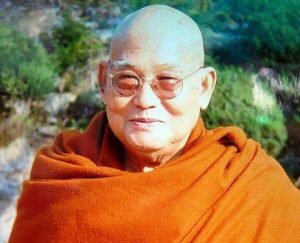 Sayadaw U Pandita passed away 16th of April 2016, at 94 years of age. No successor was chosen. It is all the more clear since then that the Buddha’s teachings are not about the charisma of a teacher, but about the clarity and testability of the method. The senior monks and nuns trained by Sayadaw U Pandita, are looking back in love, awe and gratefulness to their teacher, and now show what they have learned themselves. The 60 day retreats are being conducted by 5, 6 senior teachers. February 10, 2019 in forest centre Hse Main Gon a Memorial Hall has been opened as a lasting remembrance of Sayadaw U Pandita. In this 38 minutes VIDEO the first 20 and the last 10 minutes give an impression of Sayadaw U Pandita’s life. Between minutes 20 and 28 the last retreat (December 1, 2018 – January 31, 2019) is being shown.